When it comes to taking care of your vehicle, you’d want to do it as religiously and meticulously as possible so you can get the best possible performance out of it, and for longer. There are many different steps you can take to ensure this, whether on your own or with a professional car service. Here are some things you should be on the lookout for if you want to catch any signs of problems early, so that you can get them repaired as soon as possible. No matter how good engine performance is, cars are still judged primarily based on their appearance. If you want to make a good and lasting impression rolling down the street in your vehicle, then you must make the effort to get it regularly cleaned. 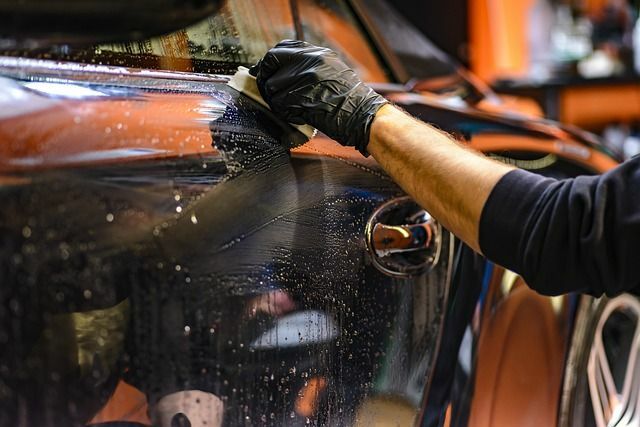 A simple car wash can do to take out the usual dirt and grime, but a more thorough detailing is probably in order for harder-to-remove stains on the inside. Your tires are very important to your safety on the road. Make sure that they are in good condition before making your way to any destination. Keep good note of their tread depth as well as inflation to have an idea when it’s time for them to be replaced. You don’t want to get a busted tired out in the middle of the road, and worse, with none to spare. Under the hood, you should always remember to get your fluids and filters cleaned and changed regularly. These are integral elements to keep your car running, so if you don’t pay attention to them, it’s highly possible that your vehicle will suffer from wear and tear much sooner than it should. By keeping a keen eye out for this detail, you not only get to have a more enjoyable car ride thanks to a smooth performance, but also extend the vehicle’s service life. The great thing about keeping a strict schedule for this is that you are able to guarantee that you keep your car in tiptop shape. Don’t just bring your car to any random centre, though. You must make sure that they can actually do work on the kind of car model you have. If you’re driving an Audi, for example, then it’s best that you take it to centres such as SVS Autocare that do offer quality Audi service in the Sunshine Coast. It’s the best way you can guarantee that your car will be getting the care (and parts) it rightfully deserves. 10 Tips to Keep Your Car Running (Almost) Forever. VroomGirls.com. Six Ways You Could be Killing Your Car. CarCare.org.